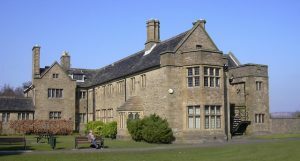 The Pendle Heritage Centre encourages the conservation and interpretation of the heritage of the old Hundred of Blackburn, known as Blackburnshire. Stretching from Blackburn in the west to Colne in the east, Clitheroe in the north to Rawtenstall in the south, its towns and countryside are built on five centuries of clothmaking and a thousand years of cattle and sheep farming. Ancient churches and yeoman clothier’s houses vie with Victorian mills and townscapes for the attention of heritage lovers. The Pendle Heritage Centre studies and promotes this heritage in all its variety. 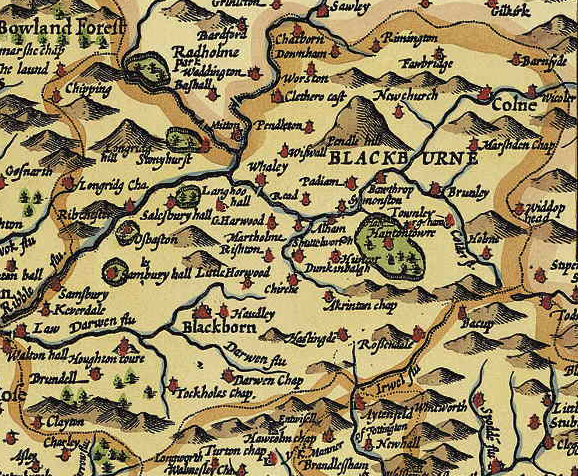 The Blackburnshire area has many great places to visit. It has a wonderful cathedral at Blackburn, a Norman castle in Clitheroe, a Roman fort at Ribchester and a ruined abbey at Whalley. All are open to visitors. You can visit a unique working cotton mill, a heritage railway and several stately homes, some with special collections such as textiles and fabrics at Gawthorpe Hall and Art Nouveau Tiffany Glass at the Haworth, Accrington while others with eclectic museums and art galleries, not to mention a textile mill converted to a museum about the industrial revolution. This heritage is set in vivid landscapes, rich in wild life. Wide green valleys provide habitats for butterflies and birds and windswept hills support internationally important assemblages of upland birds, invertebrates and breeding waders. 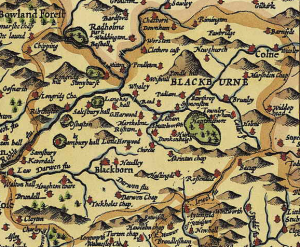 Pendle Hill and Blackburnshire have something for everyone! Most enjoyable , beautiful scenery, Thank You !